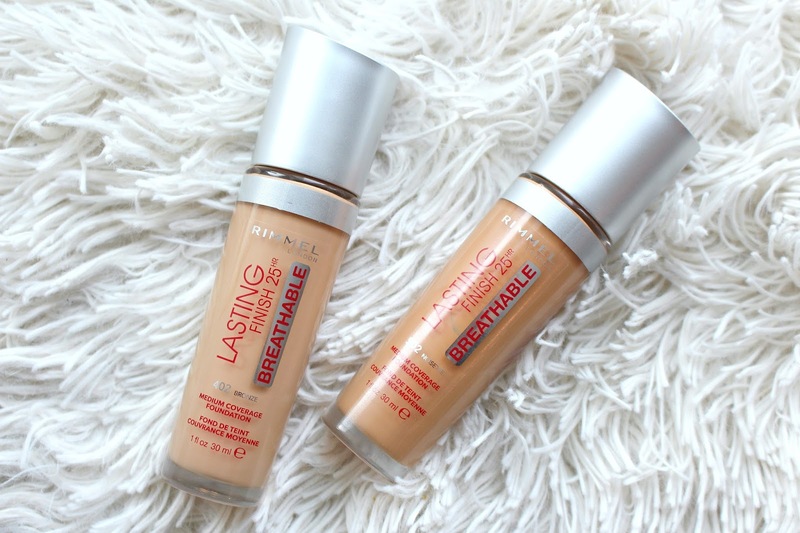 Welcome to the drugstore, Rimmel Lasting Finish Breathable Foundation! This is a brand new launch from Rimmel and not a reformulation of the Lasting Finish, the original will remain on shelves. 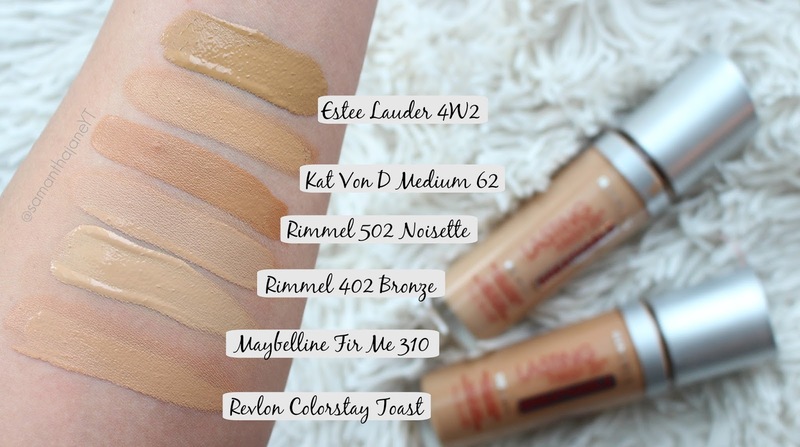 I don't have a ton of experience with Rimmel foundations as the shade ranges have been.... lacklustre, beige etc. I was incredibly excited to see that the new Rimmel Lasting Finish Breathable Foundation has 15 shades, yahoo!! That being said, it could still go much deeper. I wear the 3rd to darkest shade. If you have a more fair skin however it seems to go very, very light. 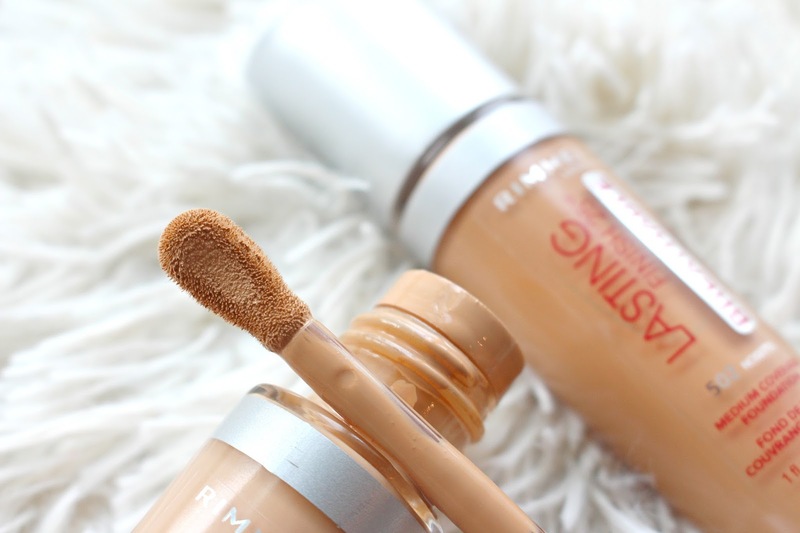 The Rimmel Lasting Finish Breathable Foundation will retail for around $11.99 CAD and will be available wherever Rimmel is sold. It's brand new, so if you haven't seen it yet keep your eyes peeled. It contains 1 fl oz, comes in a glass bottle (makes it easy to see your shade) and a huge doe foot applicator. That seems to be a new trend by the way, I don't love it or hate it. However a pump is always prefered. 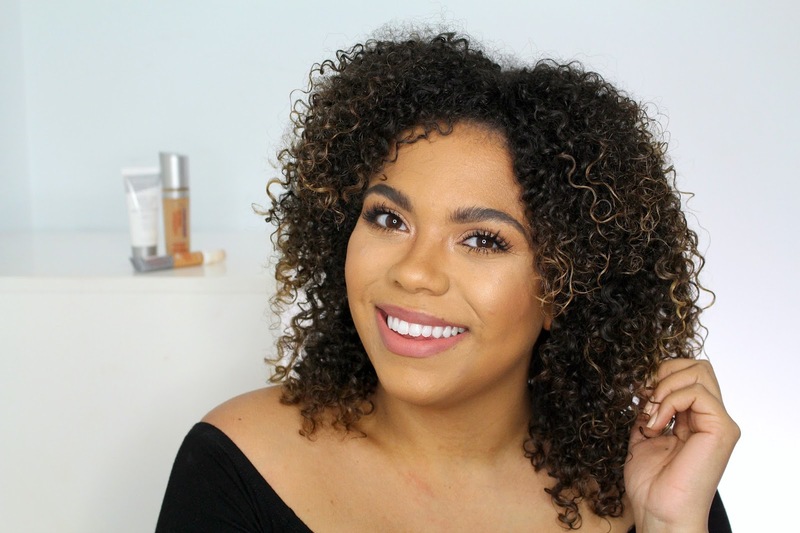 I've only been using this foundation for a little while but so far I am super impressed. Lasts really well on my oily skin, medium coverage and just looks so beautiful. I wear NC42 in MAC for reference and Rimmel Lasting Finish Breathable 402 Bronze. 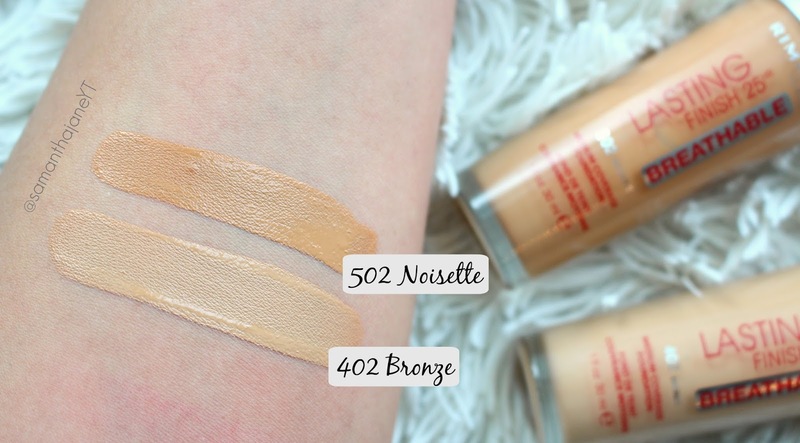 It could be slightly more golden on my skin but overall a really great match. *This product was sent for my review, all opinions are my own! This foundation turned out great. Thanks for the swatches.